Electric-operated homes are becoming a trend among modern real estate properties. For instance, window decorations are used to be operated manually via a cord or a chain. But they can now be electronically-operated to give a more sophisticated comfort. These electric roller blinds are famous home improvement project additions. To put it simply, electric roller blinds use a small motor to gently turn its blind shaft. This way, the blind fabric rolls up or down according to your specification to give shade or privacy as you wish it to do. This means your ultimate convenience of being able to control the light from outside without having to leave your seat! Now there are people who shun from many electric-operated addition for their homes thinking that they are quite complicated to use. – But they actually are not. Electric-roller blinds for instance can be operated in 3 ways: 1) through a switch 2) remote control 3) battery-operated motor. Switch-operated roller blinds allow you to manually switch your roller blinds “on” or “off” when you use it. Remote-controlled ones, give you more flexibility in operation as you can bring the remote with you and control the window decoration at your position. Some, electric roller blinds can even be operated using an app installed in your smartphones or tablets. Battery-operated motors on the other hand are powered be either D cell batteries or by household mains supply. This kind of electric roller blinds are operated completely wireless as you simply slip the batteries inside the battery tray located behind the blind fascia or within the blind shaft. 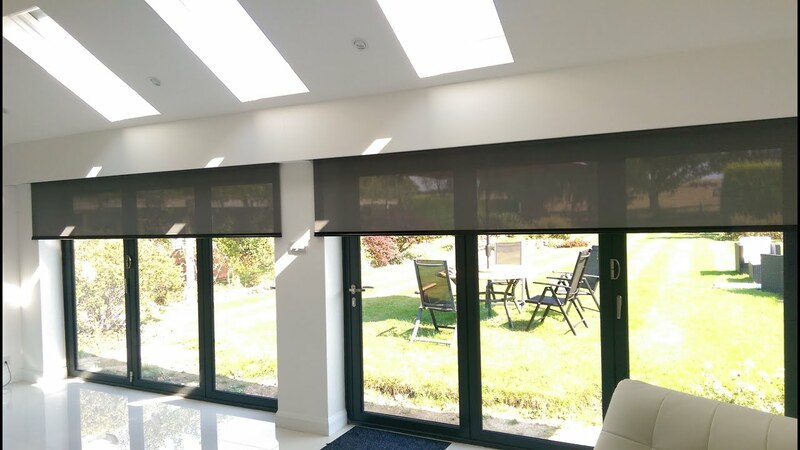 To reiterate, electric roller blinds are not only a good window decorative addition, but are fully-functional in making sure you get enough shade (when opened) or enjoy maximum privacy (when fully closed) with the ease and convenience of operating it. Use it with your patio doors and french doors. They are incredibly flexible and easy to use. Home improvement projects are meant to update your houses for your own comfort and convenience. Adding electric roller blinds as window decorations in your house gives just that with the addition of sophisticated aesthetics.